The Tera2 PCoIP Dual Display Host Card allows users to remotely access their workstations using the PCoIP protocol. Dell PCoIP Dual Display Host Card is based on the industry standard PCIe form factor and install easily with no impact on ISV certifications because the system interfaces with the card as an 'external' display. PCoIP Dual Display Host Card also protects your IP against lossor theft and enable connection from any compatible end points at work or on the go. 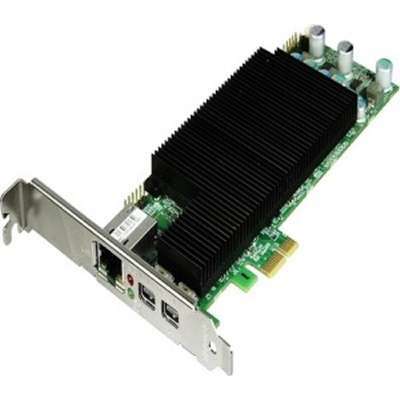 Dell PCoIP Dual Display Host Card can be integrated within your existing back end infrastructure, leveraging support for connection brokers from VMware, Leostream or Ericom.